Caught of Guard by a Revelation! 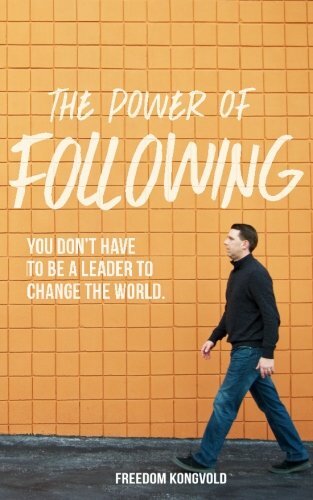 I recently publish my first book called The Power of Following. As I was writing a note in a copy for one my adult sons I had a sudden revelation. The Power of Following is focused on talking to the majority which is the group of people who want to achieve and have dreams must aren't focused to be a leader or maybe aren't equipped yet to do so. As I looked over the 12 Keys that I outlined thinking of what to write to my son I laughed loud enough to cause my wife to look and inquire what was up. It was at that moment that I realized that he had all of the keys that I had written. Without even knowing I had written a book on how I had raised a successful son! As parents we are all trying to help our children get the upper hand in the world. It's an ever changing landscape of challenges but some truths remain true. The 12 Keys to unlocking The Power of Following are timeless truths, not temporary fixes. As an author I'm thrilled to have written and provide truths that I myself have unlocked, used and even taught my own children. My hope for you is that you to unlock these truths and become the hero of your story.